Instant access to the Live Chat Room. Watch options trader Rick Pendergraft LIVE and follow his recommendations from Monday to Friday. 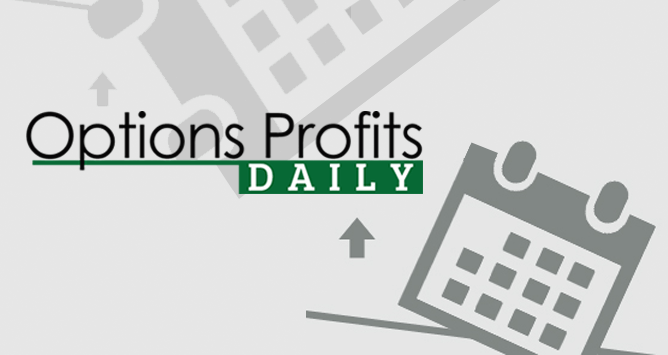 Receive daily recommendations and become trained to trade like a pro. Daily Video Recap. A summary of what happened so you can still benefit if you miss one of our meetings. The Options Trading Profits Welcome Kit. Which includes a DVD and booklet that gets you up to speed on what you’ll need to know to make the most out of your exclusive Options Profits Daily membership. FREE Bonus – The Ultimate Guide to the World of Options. This is a 95-page book that fills you in on the basic techniques of options trading. It helps you build a firm foundation for future success. Everything from setting up a brokerage account to debit and credit spreads, and more is covered. FREE Extra Bonus -The Profit-Rich Options Video Series. This is a set of 3 instructional videos, about 129 minutes total that teaches you how to use options trading in lemon economies. Everything from risk analysis, to bear put spreads, and more is covered. Most of these option plays are held four days max. You’ll never fear bad economic news again after you see this video series.